The Magic Fountain Show has water from the fountain dancing to music. From the opening song Ted (age 3) was captivated. The show lasted for an hour but most people left after the opening couple of numbers. We had more staying power and took advantage of the thinning crowds to move into a better spot. 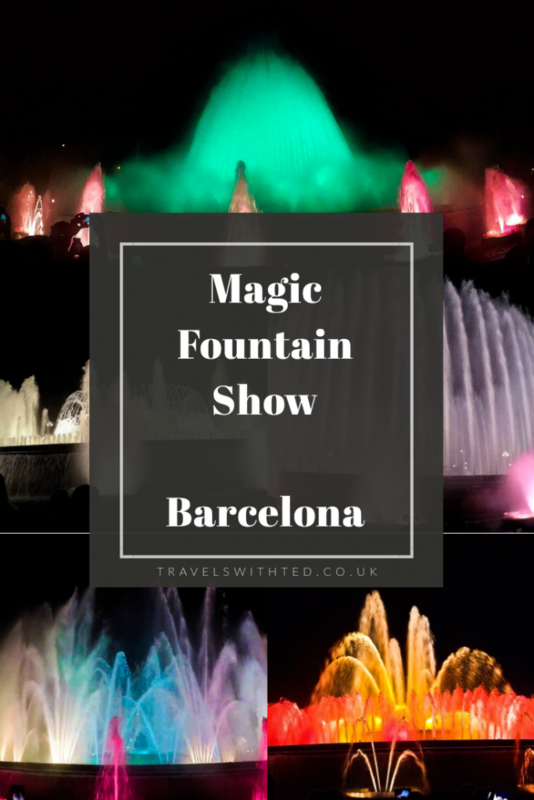 Catching the Magic Fountain Show is something I would recommend to everyone who visits Barcelona. If you’re visiting with children (or even if you’re not) you might be interested in a few tips. Show times vary depending on time of year so make sure you check before you go. The shows start at 9.30pm in the summer months and as early as 8pm in the winter. Make sure you get there early. The best spots will be taken an hour before the start. You can check the times here. If you are getting around Barcelona by public transport you should head to Plaça d’Espanya. Plaça d’Espanya is an incredible looking place. The view from Arenas de Barcelona up to The Magic Fountain in one of the best in the city. From Plaça d’Espanya walk up Avinguda de la Reina Maria Cristina. 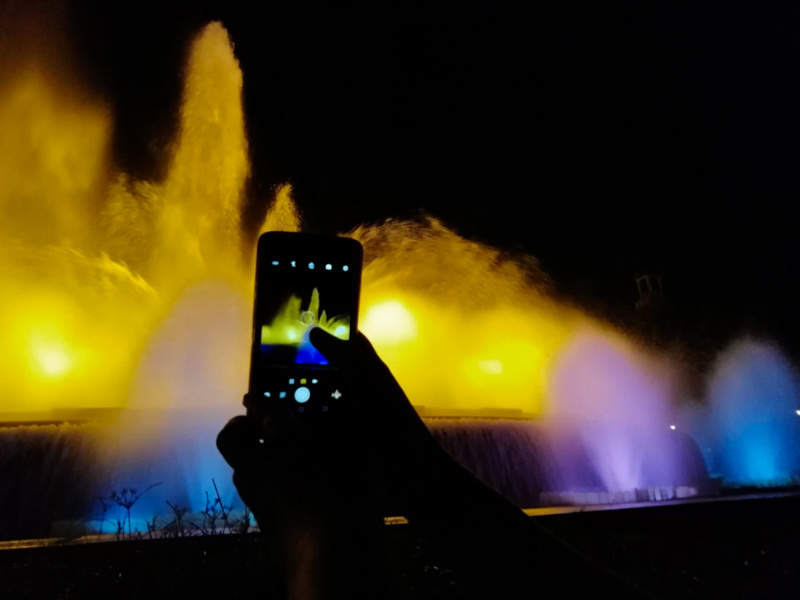 The Magic Fountain Show can be found takes place at the fountains in front of Museu Nacional d’Art de Catalunya. You can reach the fountains using the escalators or steps on either side of the avenue. If you get there early enough you can snag a seat. Don’t worry, there are plenty of other fantastic spots if you arrive too late. The edge of the fountain also fills up but most people move from here when they realise they will get wet. There are other walls to sit on and the ground is fine as the crowds move and thin out once the show starts. Whatever spot you pick be prepared to be there a while. Bring snacks! Firstly, make sure to wear warm enough clothes even if you’re visiting in summer as you’ll be sitting around for a long time. The second and most important tip on what to wear is wear something waterproof. When the fountains get going they kick out a lot of spray and everything gets damp. 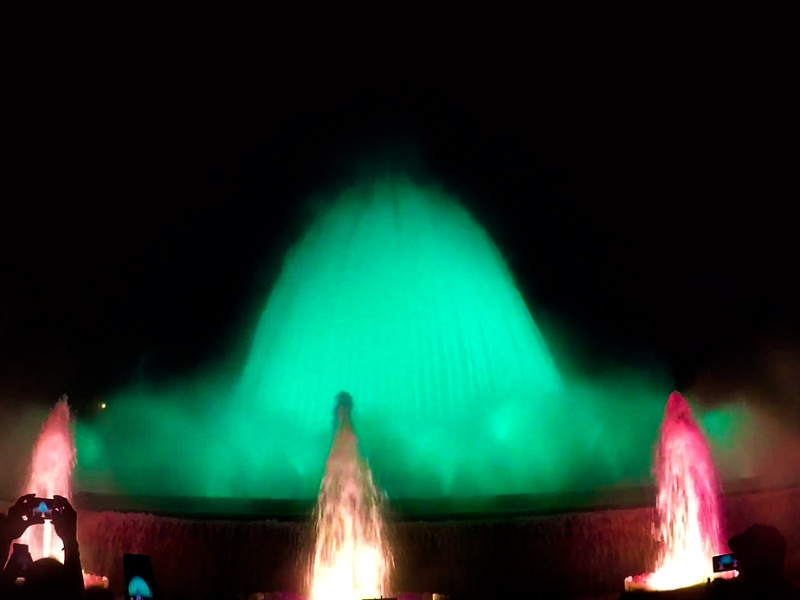 The Magic Fountain Show is an incredible choreographed show in which the water dances to music and lights. Click here for Plaça de Catalunya, Mercat de la Boqueria, Las Ramblas. 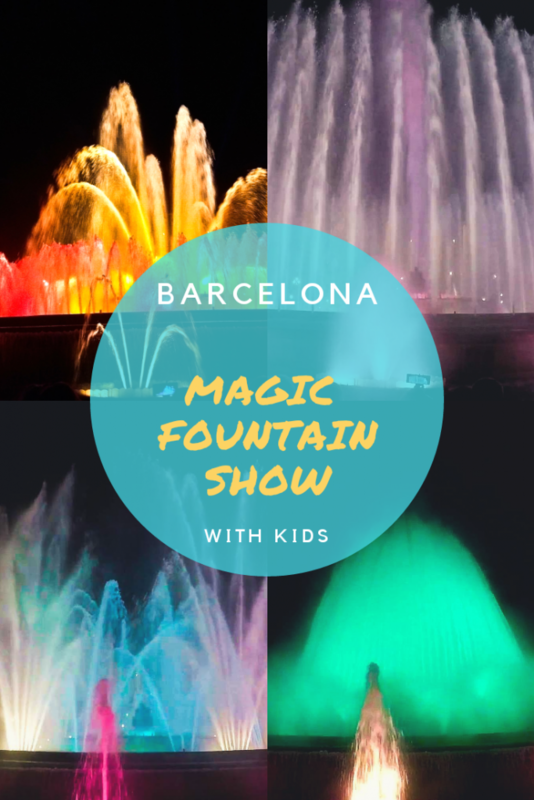 Click here for the Sagrada Familia, the Magic Fountain show and Park Güell. 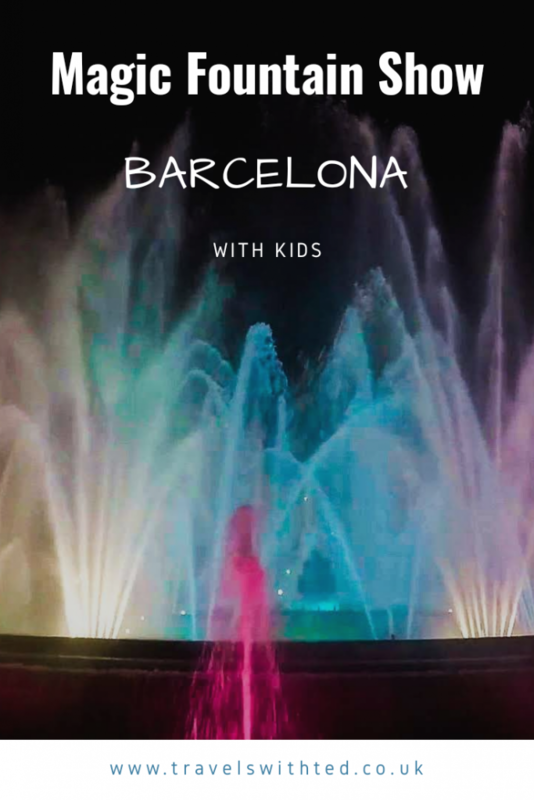 My son studied in Barcelona a few years ago and we visited him there. I think the whole city is amazing and very child friendly. This looks stunning! I never knew that something like this existed, but if I ever get the chance to visit Barcelona then this will be on my list of things to do! I do love water shows like this! 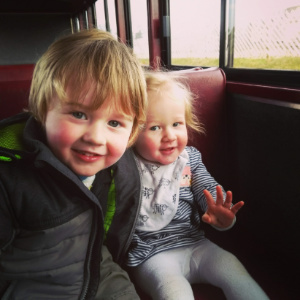 They are just so colourful as you can see in the photos you took! Sounds like you had an amazing time! Oh this looks fantastic. We saw a similar thing in Dubai, and that was amazing too. I love Barcelona and would love to go back. This looks like a lovely show to go to. This looks amazing and we’ve only ever seen a smaller version at Disneyland – would love to see the real deal! Oh we really want to visit Barcelona, it looks amazing! I love a city break. oh wow this looks like one of those must see things to do. I have barcelona on my to do list! What an amazing show. I love Barcelona so much. Wow! So beautiful! I remember the crowds gathering in and wiggling to get a spot towards the top. A perfect way to spend a summer night.